Depeche Mode will return with its 13th studio album, "Delta Machine," on Mar. 26. The Columbia release will be preceded by a new single, "Heaven"; its music video will premiere on VEVO on Feb. 1. The follow-up to 2009's "Sounds of the Universe" was produced by Ben Hillier and mixed by Flood over the past year. The veteran post-punk group recorded the 13-track album in Santa Barbara, Calif. and New York City. "With this release we've completely shifted our idea of how to create an album," frontman Dave Gahan says in a statement. 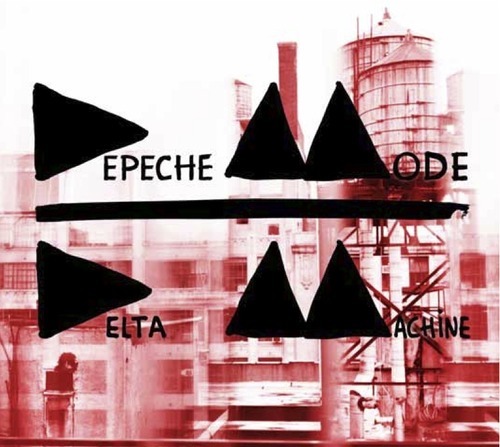 "When we hit a wall where we realize the album is beginning to sound too normal, we'll mess it up and really give it that organic Depeche Mode Sound. 'Delta Machine' is no different, and I can't wait for all of our fans to hear it." The release of "Delta Machine" will be followed by a European stadium tour, which kicks off on May 7 in Tel Aviv's Hayarkon Park. A full North American tour will follow, with details forthcoming. "Sounds of the Universe," which was led by the single "Wrong," has sold 194,000 copies in nearly three years of release, according to Nielsen SoundScan. The group supported the album with the "Tour of the Universe" trek, which included a headlining spot at that year's Lollapalooza fest.